Todd Landry has been named to lead the high-profile office, which is responsible for child welfare. Maine Department of Health and Human Services Commissioner Jeanne Lambrew has named a new director for the high-profile state agency responsible for child welfare. Todd Landry Photo by Kevin Gaddis Jr.
Lambrew announced Thursday the hiring of Todd Landry to lead the Office of Child and Family Services, an agency that was plagued by instability and high staff turnover during much of the previous administration. 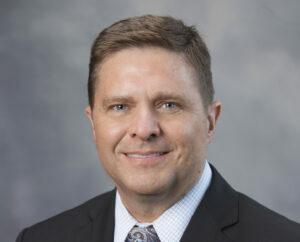 Landry most recently was the chief executive officer of the Lena Pope Home in Fort Worth, Texas, a nonprofit that serves children and families, but he previously served three years as director of Nebraska’s Division of Child and Family Services. He also sits on several national boards, including as treasurer for the Child Welfare League of America, a national coalition of private and public agencies working to improve the lives of vulnerable children and families. The agency has come under increased scrutiny in the last two years after the deaths of two girls from alleged child abuse. Those deaths led to internal and external investigations and, eventually, wholesale changes in the final months of Gov. Paul LePage’s second term. More changes are likely under Gov. Janet Mills and the Democrat-controlled Legislature. Landry starts his new job on April 29. “I look forward to working with the dedicated staff of OCFS to build upon the momentum of this administration toward our goal of improving the lives of Maine children and families,” he said in a statement.